FARM BOXES DELIVERED TO YOUR FRONT PORCH! ​Each week, we deliver a wide variety of delicious, fresh produce. Our local selections range from the tried-and-true to the delightfully adventurous. View our local market items in our shop now! Customize each order with favorites like grass-fed beef, free range eggs, and handcrafted local artisan goods. Knowing your growers makes your food taste better! As a local business, we're proud to partner with local producers like Megan from Ben Wells Produce in St. Augustine. Read up on our tireless farm owners and artisans who fill your box each week with fresh, nutritious foods. Choose your farm box & the frequency that's right for you. Customize your box with our favorite produce, meat, dairy, & artisan goods. We delivery straight to your home, office, or restaurant! ​We love Front Porch Pickings!! The produce is fresh and delicious and the variety is amazing. Delivery is so convenient and always on time. Courteous and professional service. Highly recommend! 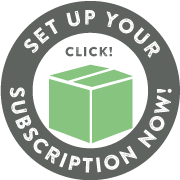 With a passion for supporting our local farms and dedication to healthy eating, we provide fresh, farmer's market foods with the convenience of a delivered subscription box. It's so easy and more affordable than you might think. Sign up now or read more on How it Works! ​Still have questions? View our FAQ.